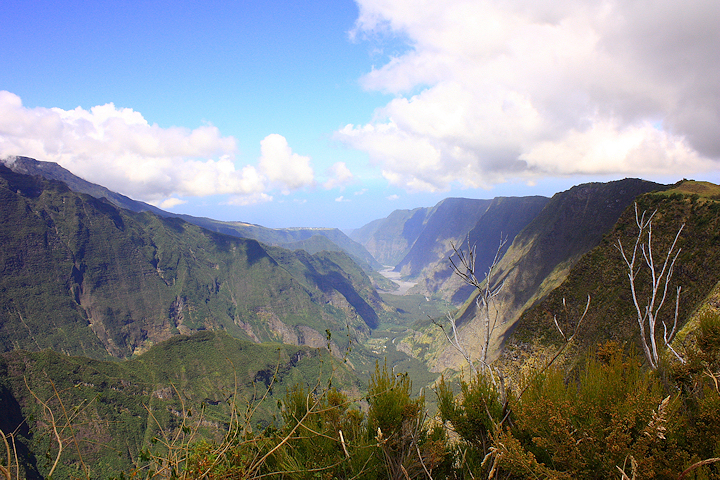 A textbook volcano on a tropical paradise island, La Réunion's stately Piton de la Fournaise offers beautiful views and excellent walking. For the best chance of a cloud-free summit, stay the night before your climb at the basic, but very amenable, Gite du Volcan, and head out early. This series of photographs was taken in September 2009. The view down the colourful and almightily impressive Rivière des Remparts, from the viewpoint just below the Nez des Boeufs at 2135m.